For almost a century, we Rockettes have been American icons. We’ve appeared at Radio City Music Hall in hundreds of stage spectaculars, and have participated in many historic and memorable events around the world. Last week, we announced that we’re re-energizing a more than 70-year association with the United Service Organizations (USO) and will be making appearances across the country in the upcoming months to honor the courage and dedication of the service men and women and their families who have devoted their lives to serving their country. These two historic organizations have been joining forces for decades! 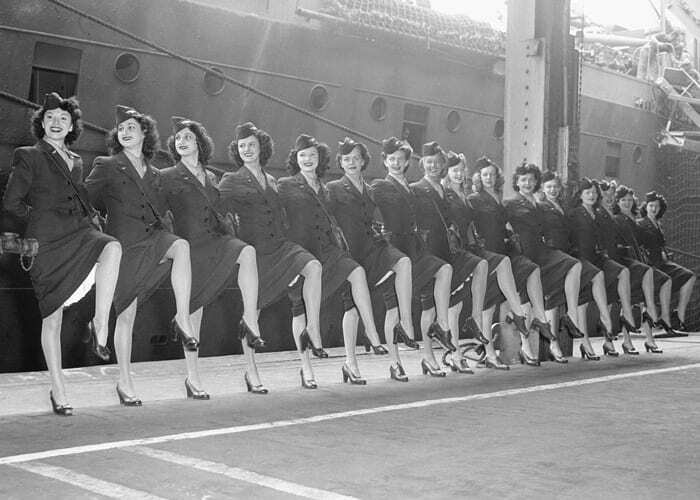 The Radio City Music Hall Rockettes line the pier as they get ready to board the ship that will take them to tour with the USO in July 1945. 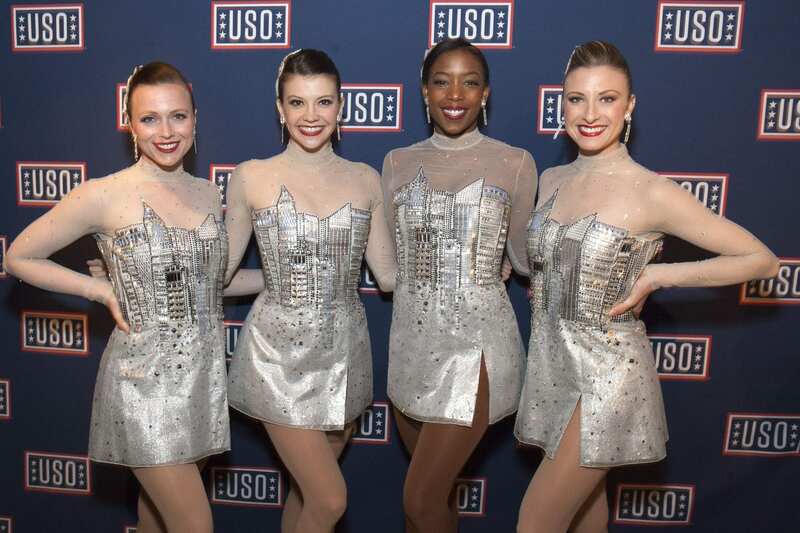 The Radio City Rockettes were among the first entertainers to join the USO in the 1940s after the United States entered World War II. The dance troupe traveled abroad to entertain the troops and performed across the country in support of the wartime effort at home. While shows continued at Radio City Music Hall, select Radio City Rockettes performed for the armed forces, including in wartime shows at the Stage Door Canteen, the Copacabana and the Army Air Corps Base in Pawling, New York. In December of 1948, Bob Hope and six Rockettes traveled to Berlin, Germany, to entertain members of the armed forces participating in the Berlin Airlift. (Fun fact: Hope headlined 57 USO tours, bringing a bit of joy to the lives of U.S. military men and women!). In addition to traveling with the USO in the ’40s, the Rockettes co-hosted a war bond rally with Eleanor Roosevelt at Madison Square Garden in New York City. While additional USO appearances and Rockettes performances will be announced soon, we’ve already kicked off the official 2017 Fleet Week New York City “Rock The Fleet” party for Sailors, Marines and Coast Guardsmen at the Hard Rock Cafe in New York City, posed with sailors at Pier 15 on South Street and will be in Boston June 16 and 17 for a few meet & greets, photo ops and performances (follow all the live action on the Rockettes Facebook, Twitter, Instagram and Snapchat! ).